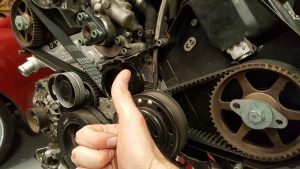 When I did the timing belt I didn’t loosen the camshaft sprockets. It wasn’t that I didn’t have the tools, I did. I had even loosened them to replace their seals. Well, turns out that if you tighten them down too early then the belt tension doesn’t get distributed around the loop. So, after hand testing the belt to be sure the alignment was correct it was off by a few degrees. I hoped it was close enough. I asked around the internet, hoping it was close enough. It clearly wasn’t close enough. I went back through the instructions, pulled the sprockets loose and immediately the belt load evened out. Turns out following instructions saves you a bunch of time. 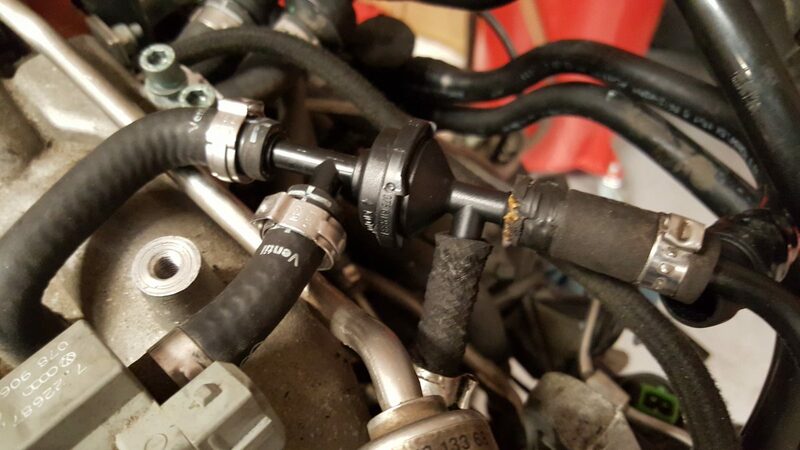 I also spent time evaluating the various vacuum, air injection and fuel hoses. 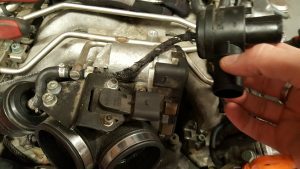 A number of them require replacing, but I’m not entirely sure what to order to deal with some of the frayed and cracked hoses. I may have to use my phone a friend.